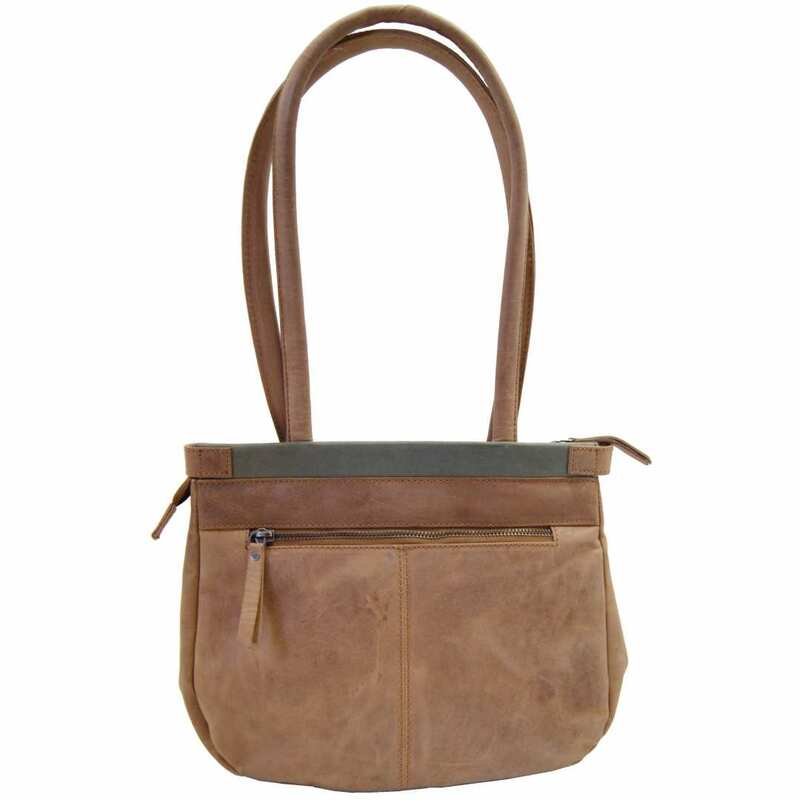 Product information "Ladies city bag ANTIBES of olive-brown leather"
This small and practical shoulder bag made of olive-brown leather offers enough space for the many necessary daily items. Whether keys, a calendar or a mobile phone - everything finds its place here! The big main compartment of the ladies’ city bag ANTIBES is extended with a smaller zippered section perfect to store some documents, for example. The outer pocket also provides lots of space. All zippers are smooth running and of a high value and the bag can easily be carried by hand or over the shoulder, just as you prefer. 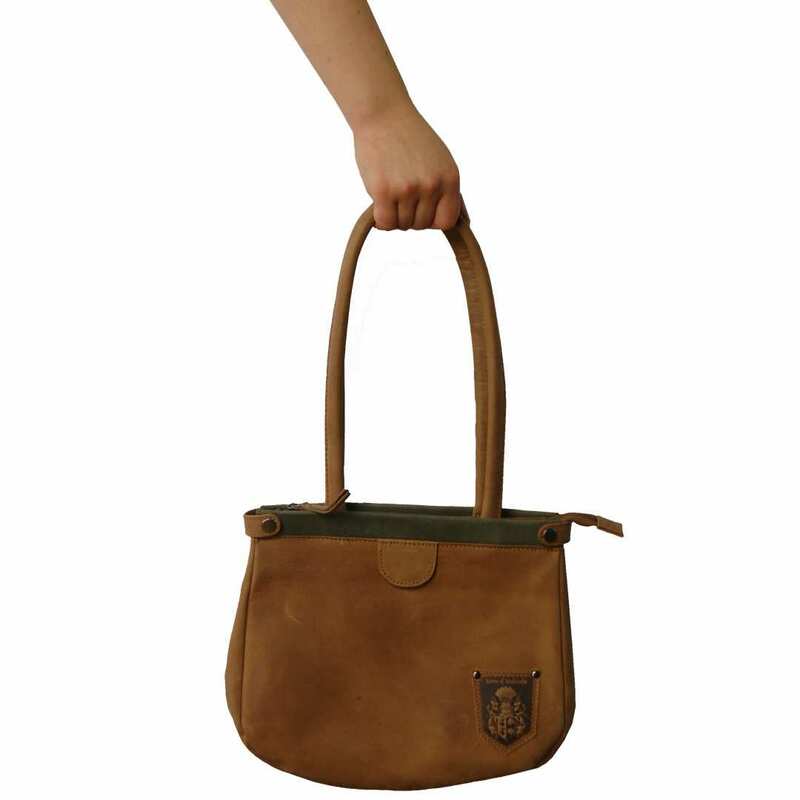 The organic bovine leather of the city bag ANTIBES is processed according to a traditional method. It is vegetable and carefully tanned, providing the bag with elegance and a fantastic appearance. Over time and with the use, the surface of the shoulder bag ANTIBES will present some new colour shades: don’t worry! This way, your bag will get even more individual! 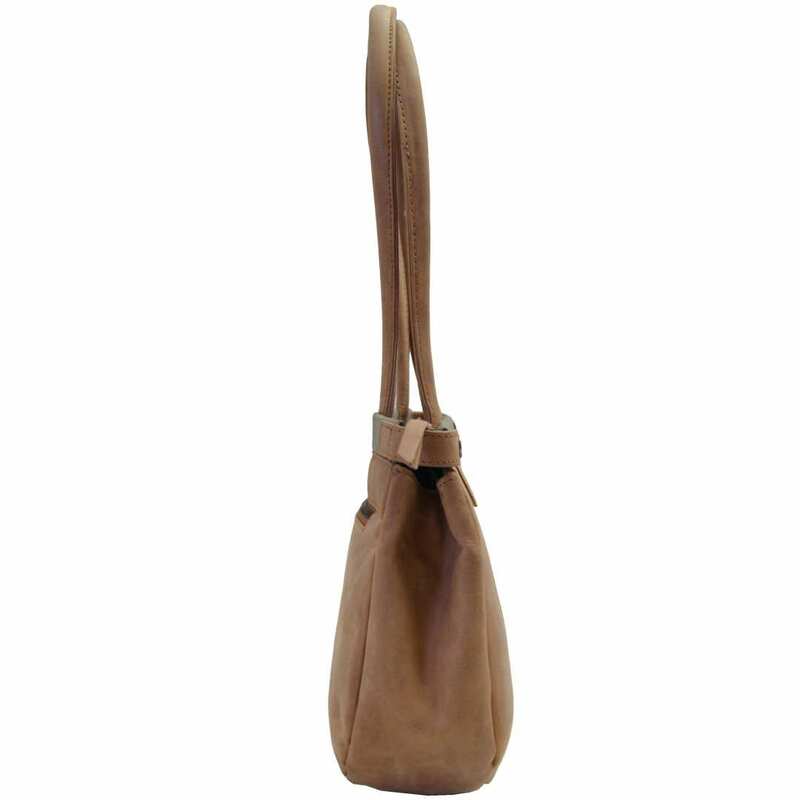 By purchasing this olive-brown leather accessory, you are supporting the development and manufacturing of natural, unadulterated articles: the leather used for this bag is a by-product of the food chain. This nice shoulder bag is made of organic leather. Its total size is 12.9 x 9.8 x 3.1 in (32x25x8 cm) and therefore you have enough space for all your belongings. 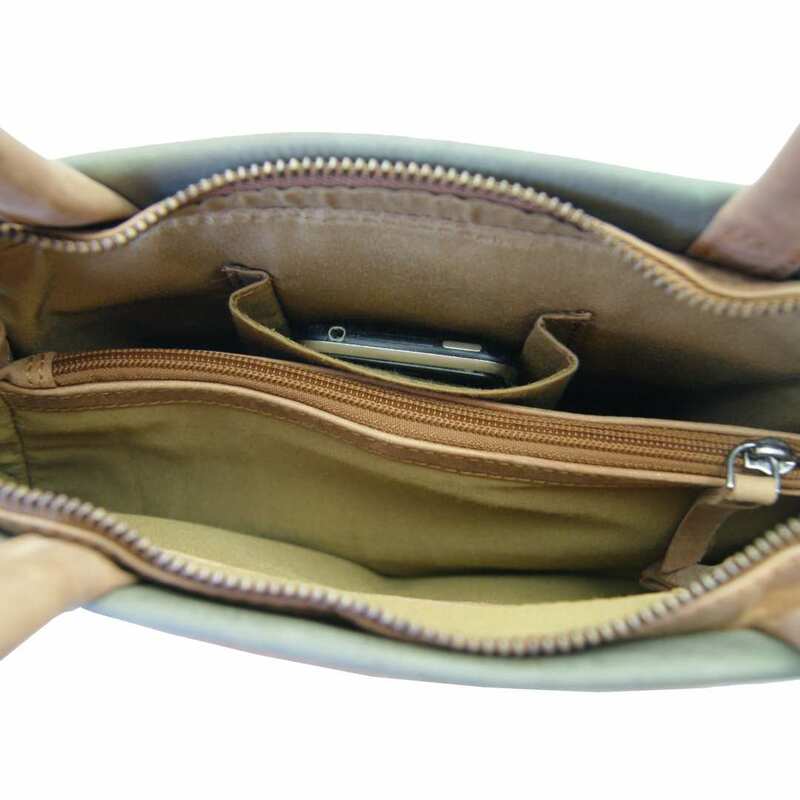 The leather bag has a big main inner compartment divided by a zippered section and a mobile phone pocket. It also has an outer back pocket – also zippered – and the inside is covered with an elegant, soft cotton lining in order to protect all your items. The leather of the city bag ANTIBES is very sturdy and resistant. Nevertheless, it is not very recommendable to let the bag exposed to some elements like the sun, rain or snow for a long time because the material could be damaged. In order to protect the surface of the ladies’ city bag ANTIBES, we recommend you to rub Vaseline or milking grease on the leather. This way, it will always remain smooth and shiny! With the delivery of this article you will also receive a free can of leather care. If the bag gets stained, just rub the damaged surface gently with a soft cloth and some warm water. 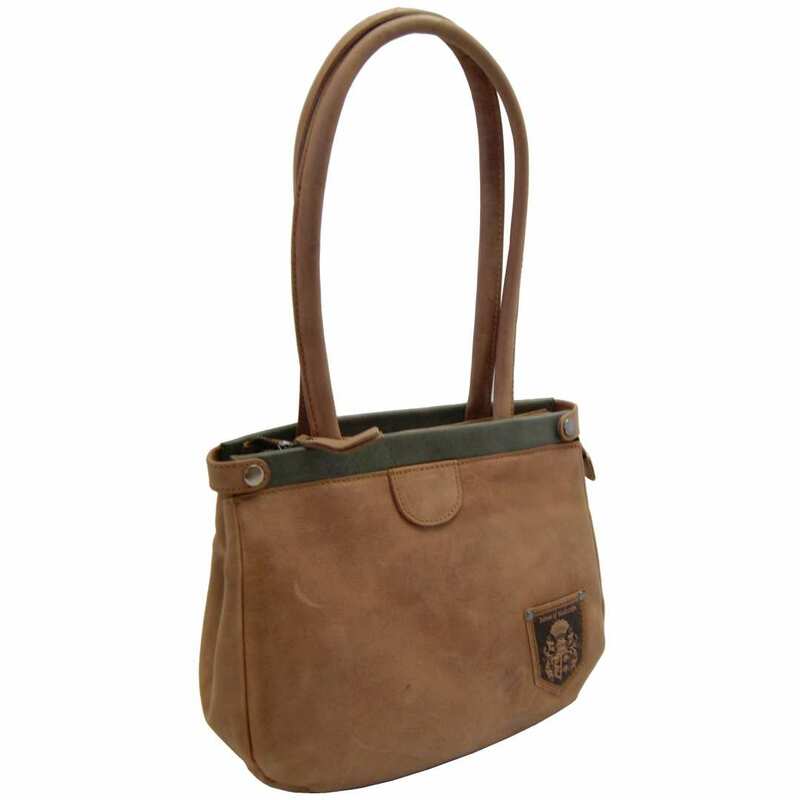 Reviews for "Ladies city bag ANTIBES of olive-brown leather"